various areas. 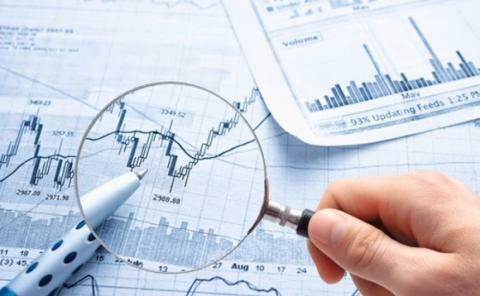 Threats like, those coming from regulators, the expectations of investors, emergence of new competitors, expectation of customers who expect to access funds and make loan requests through a multitude of digital channels, all put the lenders in weak position. To withstand all these threats, it is high time for lending firms to implement digital technology on risk management. Digitalization offers huge potential to improve credit risk management. It is likely to result in more transparency of risk assessment. It allows banks to make rapid assessments of the credit worthiness of applicants quickly. Though digitization is on top of the agenda, many firms find their digital initiatives struggle to deliver results. Either they stay small and marginalized, or transformation programs get mired in debate and move so slowly that the organization runs out of patience. Only 17% of banks and credit providers currently offer mobile account opening. While 35% of organizations still have no plans to allow account opening via mobile devices, this rises to 47% among small community banks. Larger banks and credit unions are much more likely to be trying to keep up. If lending firms or small credit bureaus fall by the digital wayside, this may not be good news for consumers in the long term. Digitization of a traditional lending firm is like redesigning an aircraft while flying. The organization’s leaders need to have a high degree of belief in the digital future and determination to see it through, to endure such surgical changes while continuing to deliver quarterly performance. The whole organization needs to be involved. Line managers need to champion the redesign and its implementation in spirit. Most importantly, digital technology throws up opportunities for radical new ways to run a process. The new process could pose new risks that are not envisaged earlier. So, the only way to go about digitization is to create multidisciplinary teams that are collectively responsible end to end, i.e. from design to full-scale roll-out. Customer demand: Organizations need to develop a much deeper understanding of their customers and build a value proposition that addresses the needs of the target audience. Every new design and development should start with the customer and work back, focusing on their experience, needs and satisfaction. Digital monetization: Every interaction or initiative must drive value in the form of a better customer experience, revenue growth or both. This requires a new approach to product development, distribution, staff capabilities and organizational culture. Risk and compliance management: The challenge for FIs is to revise the role of internal legal, risk, and compliance teams to be innovation partners and ensure digital initiatives can move forward in a balanced way. Digitizing credit risk management allows lending firms to withstand new pressures and create value. It can bring value in areas like sales and planning, mortage process and insight and analysis. Digital credit risk management uses automation, connectivity and digital delivery and decision making to create values in protecting revenue, reduce cost of risk mitigation and reduce operational cost. The ever-changing, heavily-regulated, and competitive landscape of the lending sector demands solutions that are highly flexible and will provide organizations with the kind of operational agility required to not only achieve business objectives, but also ensure regulatory compliance. At Insight Consultants, we recognize and understand the challenges industry faces, and we harness our technical expertise and industry experience to build and maintain next-generation lending platforms and business solutions across the mortgage lending life cycle. Our in-depth mortgage industry experience helps us to craft flexible solutions that keep up with industry trends and organizational objectives. We have technical expertise in building cutting-edge software applications for both small mortgage lenders and medium financial product companies, which uniquely positions us to help deliver desired results. 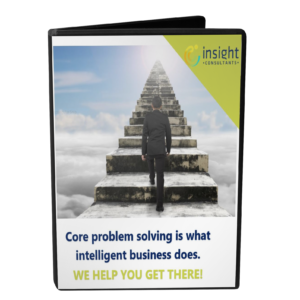 We look at a client’s business problem in a systematic manner that eventually gives both, Insight Consultants and the client, a clear view of what’s required and why, what needs to be done about it, and how its impact in your organization can be measured for success. To know in detail, click the below button, we will get in touch with you!